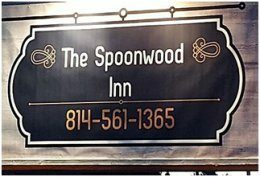 Spoonwood Inn located at 5509 Route 6 in Kane, Pennsylvania is newly opened. The renovated motel offers 10 rooms in the heart of the Allegheny National Forest. From the motel you have direct access to PA Bicycle Route Y/PA Route 6 and can ride from your room to the snowmobile trails nearby. Motorcycle friendly. The Spoonwood Inn offers plenty of free parking for your trailer and conveniently located outside outlets. 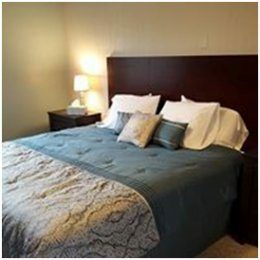 All rooms come with complimentary breakfast and offer King size or Double beds, free Wi-Fi, Cable TV, refrigerator, iron and ironing board, hair dryer, coffee pot and microwave. Groups and families traveling together will enjoy the lobby and lounge area. Spoonwood is beautifully named after the Native American word for Mountain Laurel, Pennsylvania’s state flower.